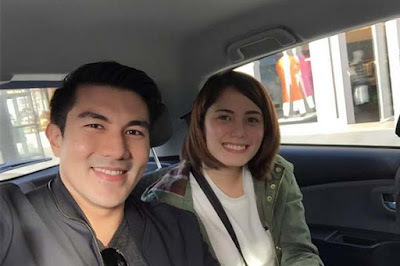 Jessy Mendiola's Romance With Luis Manzano: Is It Real Or Just Imagined? JESSY MENDIOLA is getting to be quite an expert pole dancer. This is in preparation for her pole dancing scenes in the next anniversary episode of “Maalaala Mo Kaya” where she plays the lead title role. She’s been training for it assiduously and those who’ve seen her do a full production number while clinging on a pole says she exudes so much sexiness and is simply amazing. Jessy is also being talked about because of her alleged secret relationship with Luis Manzano. They have denied that they are playing beautiful music together but, as they say in showbiz, action speaks louder than words. There have been so many sightings of them going out together, even swimming together. It’s said their special friendship started when Luis defended Jessy from a drunken Enrique Gil inside a plane while on their way to London last year. Jessy looked up to Luis as her own night in shining armour. Earlier, Jessy was also being linked to JC de Vera, with whom she formed a love team in the teleserye “You’re My Home” and also in “Banana Sundae”. But their pairing didn’t prosper because JC is obviously not that interested in pursuing Jessy seriously and the public seems to be more interested in pairing Jessy with Luis than with JC. Luis is now 35 years old while Jessy is 23. The age gap is just perfect and Luis is definitely of the right marrying age. But because of her rumored romance with Luis, Jessy is now being bashed by the fans of Luis’ immediate past girlfriend, Angel Locsin. So Angel herself warned her warmongering fans to stop the bashing and don’t dwell on negativism anymore. Let’s see if they would listen to her.